Organizers Ralph Chiodo and Courtney Long did a led the two hour planning session, which culminated with people in the group starting to take the lead on different teams that will be part of the project. At this time, project leaders are organizing the notes from the meeting, which UA will post here as soon as they are ready. For now, enjoy these photos of the event courtesy of UA board member Drew Maifeld. Thanks to everyone who has expressed interest in the project and stay tuned for more updates soon! Ralph Chiodo's nonprofit organization, Forest Avenue Outreach, owns the land where the orchard will be built. Ralph (left) is photographed here at the meeting with Courtney Long, the other team leader (right). 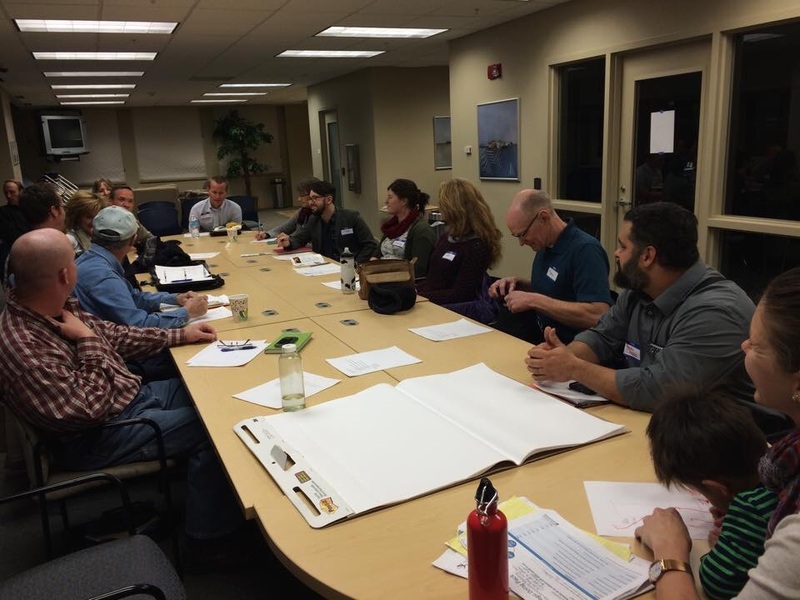 Newer PostWith workgroups organized, orchard team sets next meeting for December 15.